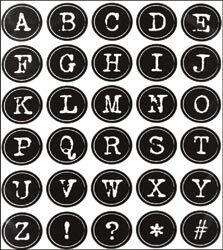 Vintage 1 inch images are perfect for use with standard caps, petal caps, flattened caps and large pendants. Punch from sheet with 1 inch round punch and attach to cap with clear adhesive such as Crystal Lacquer, Glossy Accents or Diamond Glaze. Finish off your creation with a cabochon or epoxy dot for a beautiful polished look and feel!